Cake toppers are an iconic wedding symbol and make the difference between a wedding cake and a general celebration cake. While some couples feel wedding cake toppers are a bit tacky and decide to do without, many others feel it just adds to the fun of the day. 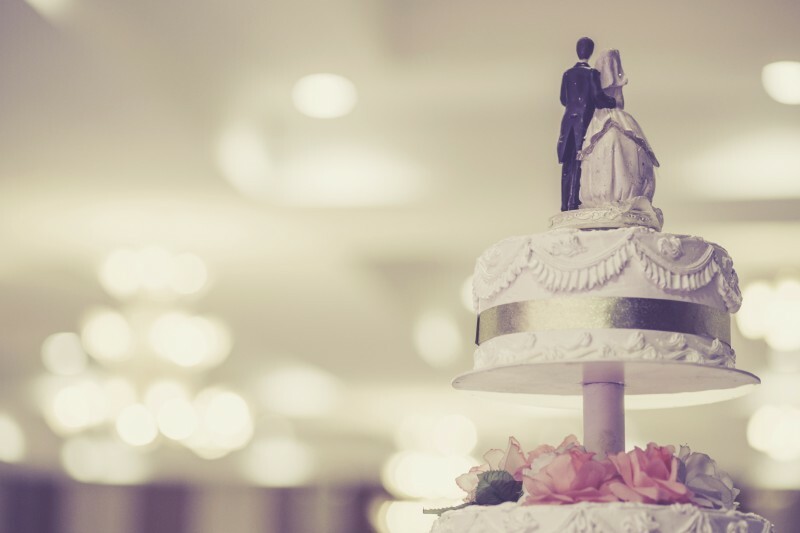 Using an antique wedding cake topper, such as the one that your parents or grandparents had on their wedding cake, is a popular way to follow family tradition and age old customs. Having a wedding cake topper made from clay to closely resemble you and your groom is a very popular option. Try to give your designer pictures of your wedding outfits; but make sure the groom doesn’t get a peek at your dress. While this may be quite a pricey option it will make your cake stand out from the rest and will be a talking point amongst your guests. Look for a topper that replicates you and your partner. If you’re mad about winter sports have your bride and groom slaloming down the cake on miniature skis. If you both enjoy riding, the bride and groom could be sitting on horses. 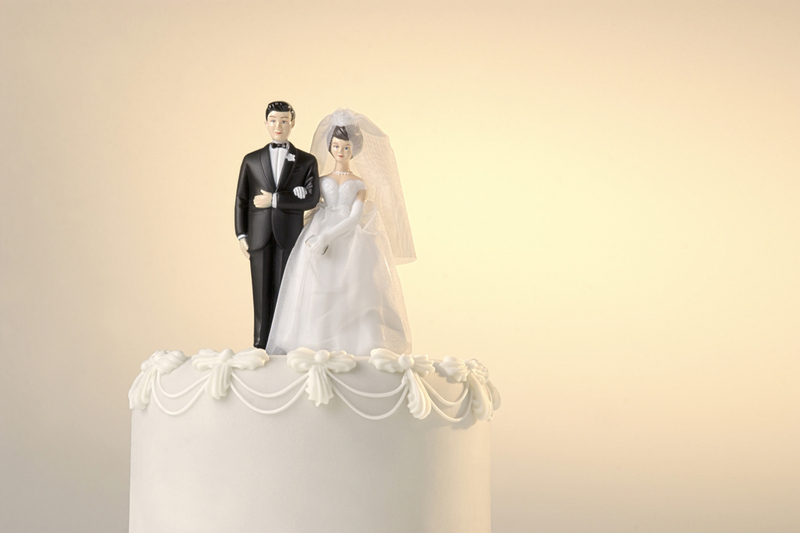 Adding fun to your cake with a humorous wedding cake topper can make it more original but if you have a humorous cake topper, make sure it really reflects your characters or your guests will miss the point of the joke. You could also have the groom standing alone by an altar reading a note from the bride that says ‘still shopping’, or the reluctant groom is always a good choice, with the bride pulling him across the cake by one ankle. 3 dimensional wedding symbols can be used as wedding cake toppers instead of the usual bride and groom. These include kissing doves, interlocked hearts, tilted champagne glasses, or a decorative horse shoe for good fortune. Collaborate with your cake designer and see how you can add a family heirloom on top of your cake as making antique jewellery, especially brooches, into a cake topper is currently very trendy. It is a good way to incorporate your ‘something old’ into the wedding. Some couples design a wedding motif or monogram that is displayed on their wedding stationery. Making this motif from icing to use as an elegant cake topper should be simple for a professional cake designer. Ribbons are a subtle yet effective way to decorate your cake and to incorporate it into your colour scheme. Flowers make a beautiful feature on your wedding cake, whether they are iced flowers cascading down the side of your cake or fresh flowers to match those in your bouquet.